I was just diagnosed as pre-diabetic. I already watch what I eat and workout lifting weights. 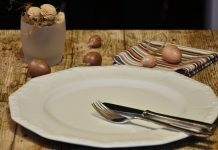 What kind of foods can I cut from my diet and what can I add to my diet that will help? Also, besides running, what exercises can I do that will help as well? Congrats on exercising. Continue exercising 30 minutes 5 days a week if you are at a healthy weight. 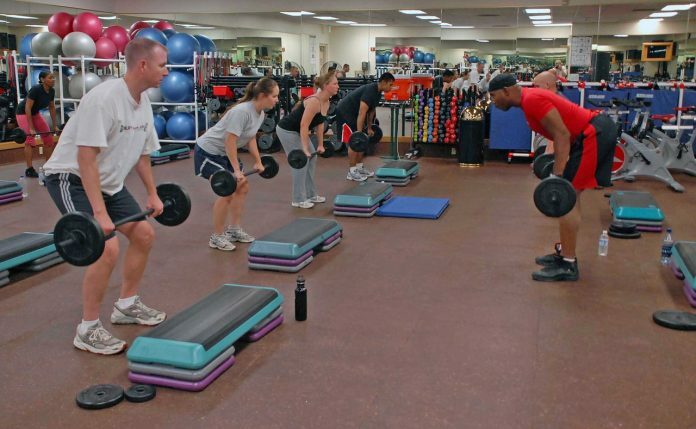 Exercise will help you maintain a healthy weight and should be a combination of weight lifting with aerobic exercise. I would suggest avoiding sports drinks and smoothies at your local gym as they will be high in carbs. Overweight is a risk factor for developing diabetes. If you are overweight for height, then I would focus on losing weight until you get to a healthy weight for your height. Plan to exercise 60 minutes a day, 5 days a week if overweight. While exercising alone will not necessarily cause weight loss, people who are overweight usually need to reduce the amount of food they eat also. Changing what you have been eating is the first course of treating pre-diabetes. What is most helpful to forestall the start of diabetes is counting carbohydrate servings. Yes, avoiding sweets, bakery, and desserts, as well as other sources of added sugars, is a good start, but eating a consistent amount of carbohydrate-containing foods at each meal is also important to not overload your body’s ability to lower your blood sugar. Carbohydrates are in all foods except meat, poultry, eggs, seafood, and fats like margarine, oil, nuts, avocado. So carbohydrates are in grains, starchy veggies (potatoes, corn, winter squash), fruit, and dairy. Many vegetables are low in carbohydrates like beans, carrots, and lettuce so they are not counted unless you eat 3 servings at 1 meal. When you eat foods with carbohydrates, your body secretes insulin (a hormone produced by your pancreas) in order to turn glucose in your blood into either fuel for your activities right now or stored as glycogen in your liver and muscles for future activities. Focus on whole grains as they are higher in fiber which slows digestion and helps you feel full longer. Depending on how many calories you need, plan to eat 2 – 3 servings of carbohydrate foods at each of 3 meals. If you eat snacks, eat 1 – 2 carbohydrate foods mid-afternoon. A carbohydrate serving of either whole grains including bread, crackers, cereal as well as dairy (milk and plain yogurt) and fruit should be a moderate serving. To help you visualize how much a carbohydrate serving is, I would suggest you try my HELP Healthy Eating for Life Plan®. If you are unsure of how many calories you need to maintain, lose or gain weight, first try my Healthy Body Calculator®. I would not suggest over-estimating your activities because that will increase your Calorie Goal which may cause weight gain. Then copy your HBC Calorie Goal into HELP. Next select the type of milk, meat or not, beans or not and snacks or not. HELP will spread out your carbohydrate servings during the day so that your blood sugar won’t rise as high as if you ate all your carbs at 1 or 2 meals. There is a small database of foods linked from your personalized HELP eating plan that will guide you to single carbohydrate servings i.e. 1 slice of bread or 3/4 cup cold cereal or /2 cup rice. Use your personalized eating plan as a guide for eating at meals and check off food groups as you eat them until your eating plan becomes a healthy habit. I would also highly recommend asking your doctor to prescribe a blood glucose monitor that you can test your blood with before eating in the morning and before your evening meal. 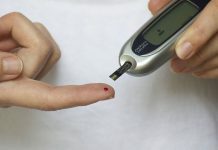 Testing your blood sugar will give you feedback on how well you are controlling your carbohydrate eating rather than waiting 3 months or more for your doctor to test. Your morning blood sugar should be below 104 milligrams/deciliter (mg per 100 milliliters of blood) and before dinner the same, assuming you haven’t eaten in 4 hours. If you had a mid-afternoon snack, then your pre-dinner blood sugar may be higher depending on what you ate for a snack. 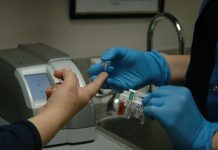 A diagnosis of pre-diabetes is not based on a single blood sugar test. Usually, your doctor will order an A1c (glycosylated hemoglobin) which is a blood test of what your blood sugar has averaged over the last 2 to 3 months. When your body creates new red blood cells (containing hemoglobin which carries oxygen), your blood sugar attaches to the red blood cell. Red blood cells live 120 days which is why an A1c blood test shows what your blood sugar has been over a few months. Anyone with an A1c above 6% indicates pre-diabetes with an average blood sugar of 126 mg/dL over a day. An A1c above 7% results in a diagnosis of diabetes. So you will want to keep your blood glucose at or below 6% to delay diabetes. Previous articlePlease tell me what to eat to follow the Planetary Health Diet. Next articleIs it okay to have more of a certain nutrient?